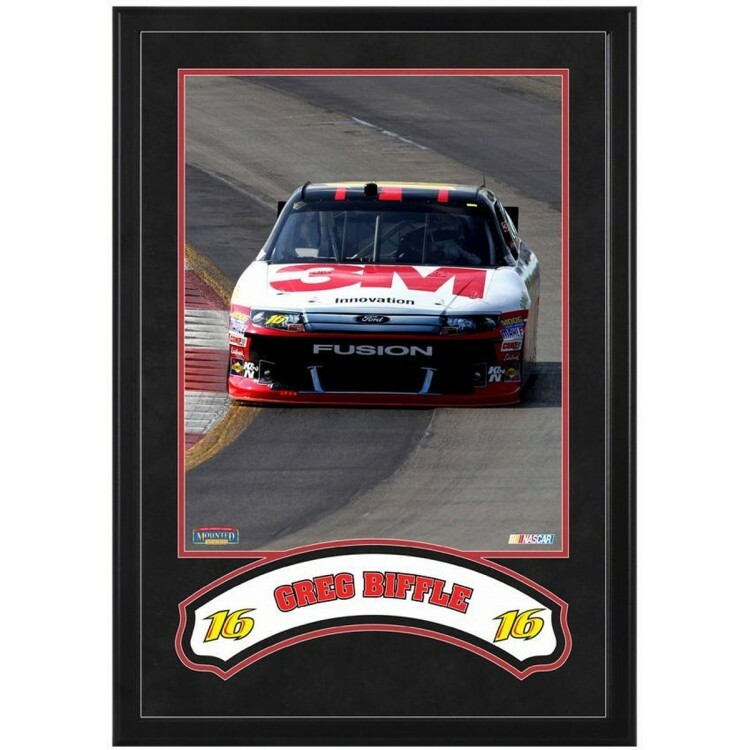 This collectible contains a 16x20 photo of Greg Biffle, as well as a double-matted banner depicting his respective name and car number. Each piece comes with suede matting and framed in black wood. The product is officially licensed by NASCAR. It measures 21'' x 31'' x 1'' and comes ready to hang in your home or office. Celebrate Pete Hamilton as the winner of the 12th annual 1970 Daytona 500. Here's the original cover.. Celebrate A.J. Foyt as the winner of the 14th annual 1972 Daytona 500. Here's the original cover art.. This 8'' x 10'' photograph has been personally hand-signed by guard Stephen Curry. It is officially ..
Shield your collectible jersey from the elements with this Dallas Cowboys Emmitt Smith Hall of Fame ..
Each collectible comes with a mosaic player image and a piece of game-used baseball from a Boston Re.. The Baylor Bears wall-mountable logo helmet display case is made of 1/8"-thick acrylic with a black .. This 8" x 10" photograph has been has been personally hand-signed by center Matt Duchene. It is offi.. This 16'' x 20'' photograph has been personally hand-signed by Thomas Jones. It is officially licens..
Each collectible comes designed with a photograph of the player, a team logo, and an actual piece of..
Keep your drinks ice-cold but your tailgate buddies comfortably warm with the Team Portable Party Fr..
Each piece features 5 photographs, a descriptive plate, team logo art and actual piece of game-used .. In Harvard and Yale's 1931 duel at Harvard, the final score was Harvard, 0; Yale, 3. Here's the orig..
Each collectible comes with an 8" x 10" player image sublimated onto a black plaque.It is officially..
NEW! Our Zenith Collectors Helmet case includes a mirror back and Black Framed Base with gold risers..